Overnight, Google announced that it is changing its name from Google to Alphabet – but only as the name of its listed entity on NASDAQ. On the face of it, that seems a crazy move given Forbes’ estimate of Google’s brand value at US$65.6bn. As it turns out, there’s really not much to the story. Google is hardly going to jeopardise its brand equity. 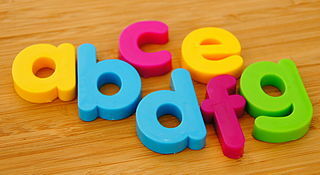 In fact, the new Alphabet brand is deliberately as far removed from a logo as you can get. It’s a plain, sans serif font (Arial? ), the name is as common and generic as it can be, and the only concession to design is that it’s in red, not black. Instead, Alphabet is Google’s way to create some structure and “transparency” for its underlying businesses, creating Alphabet as a holding company. Cynics will be looking to other angles for the decision, such as potential tax minimisation opportunities and avoidance of future potential anti-trust actions. Maybe it gives Google the opportunity to distance itself from its “don’t be evil” motto – Alphabet is a new corporate identity, after all. (See further, ‘Google is now Alphabet: making sense of a crazy corporate announcement‘, SMH, 11 August 2015). What it does do is allow Google (Alphabet) to separate out its profitable core search and advertising business from its other more speculative investments and incubator projects, such as Google X research labs. However, corporate identity has a way of developing its own brand and persona regardless of best attempts to suppress it. The prime example of that working is Warren Buffett’s Berkshire Hathaway – its corporate website is the epitome of anti-brand. In recent years, Page has been pushing the company to operate like Berkshire Hathaway, as a constellation of companies tied together through investments. It will be interesting to see what happens to Alphabet’s brand over time. I’m guessing it will develop a life of its own.